Well, summer has come and you finally have the motivation to put a pool in your backyard. Summertime in Phoenix is hot, and there is no better way to cool off than to jump in the pool. 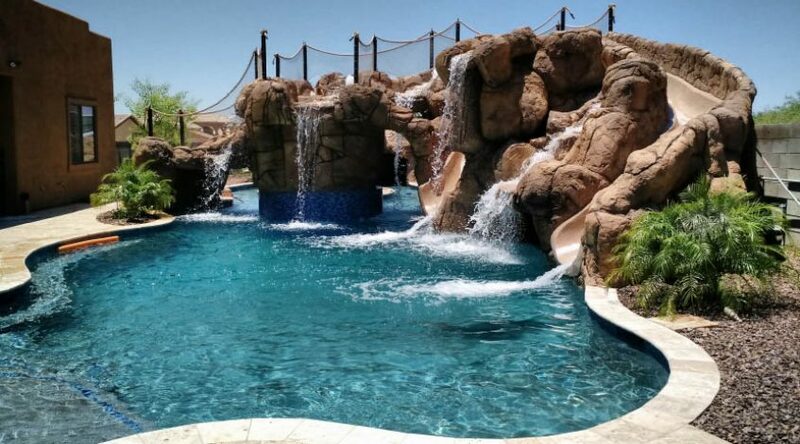 Having a pool builder in Phoenix like Tribal Waters build a pool can be a great investment in your family quality time as well as real estate values. Now comes some difficult questions you must answer, such as finding a reputable pool builder, finding the best design, and most importantly, doing this all within the budget. 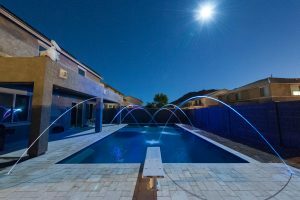 Pool builders Phoenix Tribal Waters is a pool contractor who will work with you and find the perfect solution for building your pool. Having a pool installed can be a difficult process, but if you find the right pool builder, you can find someone who will work with you on finding the right design to fit your back yard space, and also add features you want without breaking your budget. A good pool builder will provide you with several options for building your pool and will show you all the options available, from filtration systems to water features. You also want a pool builder who can complete the project on time and on budget. Research the pool company before you start working with them to make sure they are a reputable pool builder. Checking online can let you see how other people’s experiences were with the pool builder and give you a better idea of who you want to use to build your pool. Tips you should know before you build your swimming pool. You may have looked at pictures, and made a mental note of different aspects of pools you have seen to determine exactly how you want you pool to look, and what features you will include when building your pool. A pool builder will need to have this information to determine how to design the pool the best fits your needs and desires. Sometimes it is difficult to put into words exactly how to build your pool, but showing a picture to you pool builder can let them know what designs and features you are looking for with your pool. Swimming pool design is important to the overall aesthetic appeal you are looking to achieve with your pool. Where a rectangular design gives the classis feel for your swimming pool, and can be better for playing some of the more popular pool games, a custom shape can take into consideration the architectural features of your home and landscaping. A custom shaped pool can also lend themselves better for use with waterfalls or grottos. Before you start designing your pool, you first need to determine your budget. Building a pool can get costly, especially if you keep adding on features. If you determine your budget and make a decision that you will build your pool within that budget, then all your decisions will be based on what you can do within your budget, and not based solely on getting everything you want in a pool. Make sure you make a list of the most important features that you want included when having a pool builder design your pool, such as a waterfall, slide, built-in hot tub, lights, seating, etc. If you think about which features are most important to you, then you will be able to better decide which features you will keep and which you will discard when making sure your new pool fits within your budget. So we have discussed making sure you keep within you budget, but you have to live with this pool for many years, and you don’t want to look back and regret that you didn’t add some feature that you really wanted. Find a way to make sure your most important features make it to the final design of your pool. There are some pool features that have more of an esthetic impact than other features, so make sure you keep in the features you really like in a pool. When you have a pool builder complete your new pool, remember that you may need decking, pavers, plants or other items to complete the project. Now these items can be put in later when you replenish your budget, but remember that these items will be critical to giving your pool that finished look. Lastly, remember to enjoy your pool. Have a pool party with friends to show them your new pool. Let the pool be a way to bring about good times with friends and family. Play games with your kids in the pool and use the pool to benefit the quality of your life. 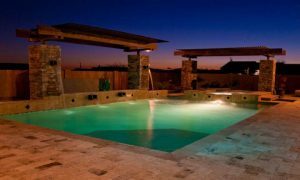 Hiring a pool builder in Phoenix, such as Tribal Waters, can make sure that you are happy with the final product. Remember that this is an investment in both your quality of life and also in the real estate value of your home. 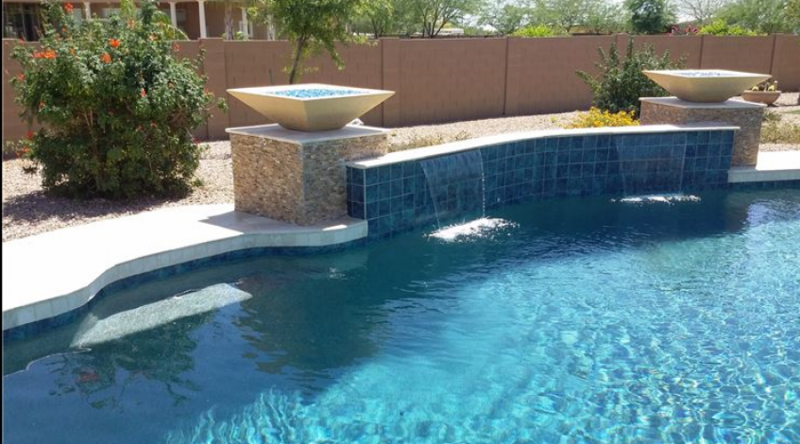 Pool builders phoenix Tribal Waters can show you how you can have that custom pool, and keep it within your budget. 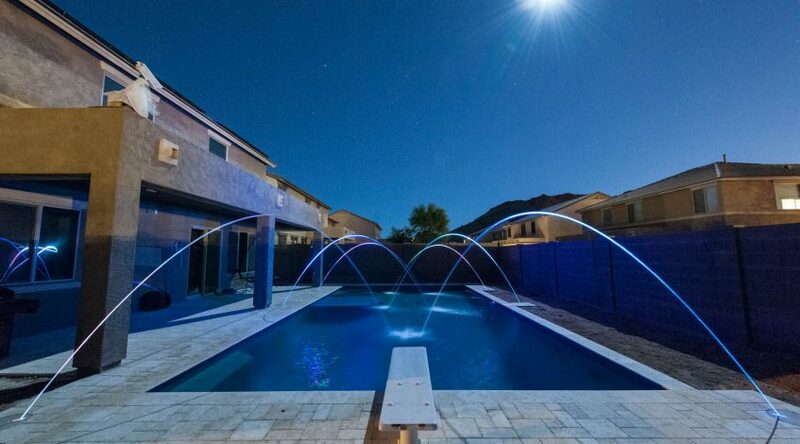 Tribal Waters is a reputable pool builder with years of experience. Stop by their office and see the many pools they have on display to see the quality and pride they put into every build. For a top quality pool builder Phoenix, call Tribal Waters today.